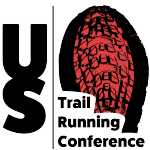 Press release from USA Track & Field’s Mountain Ultra Trail (MUT) Council. ATRA Executive Director Nancy Hobbs is also USATF MUT Council chairperson and ATRA Director of Marketing Richard Bolt is a member of the council and MUT executive committee. Based in Indianapolis, USA Track & Field (USATF) is the National Governing Body for track & field, long-distance running and race walking in the United States. 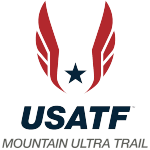 The USA Track & Field Mountain Ultra Trail Running Council of long distance running has named the 2018 USATF Mountain Runners of the year, Trail Runners of the Year, Ultra Runners of the Year, and Contributor of the Year. The following individuals will be recognized at the USATF Annual Meeting in Columbus, Ohio in December. Suzy West at the World Masters Mountain Running Championships in Slovenia. Joe Gray at the World Long Distance Mountain Running Championships in Poland. Mario Mendoza at the Trail World Championships in Spain. Camille Herron at the Desert Solstice (Photo by Jubilee Paige). Jamil Coury has been selected as the USA Track & Field Mountain, Ultra and Trail (MUT) Contributor of the Year. His whimsical and informative video show, Mountain Outhouse, has garnered a healthy following of runners and non runners alike and his patronage of the sport of MUT running is widespread. He providesweekly updates on the mountain, ultra, and trail running scene covering big and small races, highlighting men and women, and adding a special blend of humor to the show. Based in Arizona, Coury is the owner of Aravaipa Running where, for many years, he has organized a series of iconic running events such as Javelina Jundred, Desert Solstice, and Across the Years. Coury is also a versatile top-notch runner himself having run the 2015 Barkley Marathons where he finished 4 loops in 56 hours and last man standing, the 2013 Hardrock 100 where he came back from 109th place at mile 42 to finish in 14th place after 6 hours of down time, and the 2014 Barkley Fun Run finish in just under 40 hours. Congratulations also to all the athletes nominated for runner of the year awards. Over 60 talented runners from 18 different U.S. states received nominations. Nominated athletes included Jasmine Chiaramonte, Luana Pesco Koplowitz, Laura Kline, Traci Falbo, Elizabeth (Liza) Howard, Bob Hearn, Jean Pommier, Thomas Reiss, Mark Thompson, Aaron Heath, Jon Olsen, Megan Alvarado, Keely Henninger, Gabrielle Russo, Zach Ornelas, Eric LiPuma, Anthony Kunkel, Geoff Burns, Kimberley Pilcher, Trisha Steidl, Christin Doneski, Uli Steidl, Wade Barrett, Ian Schouten, Chad Lasater, Michele Yates, Clare Gallagher, Sabrina Little, Kasie Enman, Max King, Patrick Reagan, Cole Watson, Tim Freriks, Tyler Sigl, Ronnie Delzer, David Sinclair, Shelly Buhlinger, Janel Lanphere, Greg Hexum, Olivier Vrambout, Rachel Drake, Megan Roche, Andy Wacker, Anthony Costales, Richard Ferguson, Tommy Manning, Annie Bersagel and Allie McLaughlin. MUT Council members from a dozen USATF Associations cast ballots for this year’s awards. For a list 2017 award winners see this article on trailrunner.com. 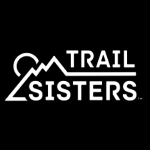 More information about the 2018 nominations can also be found on trailrunner.com.